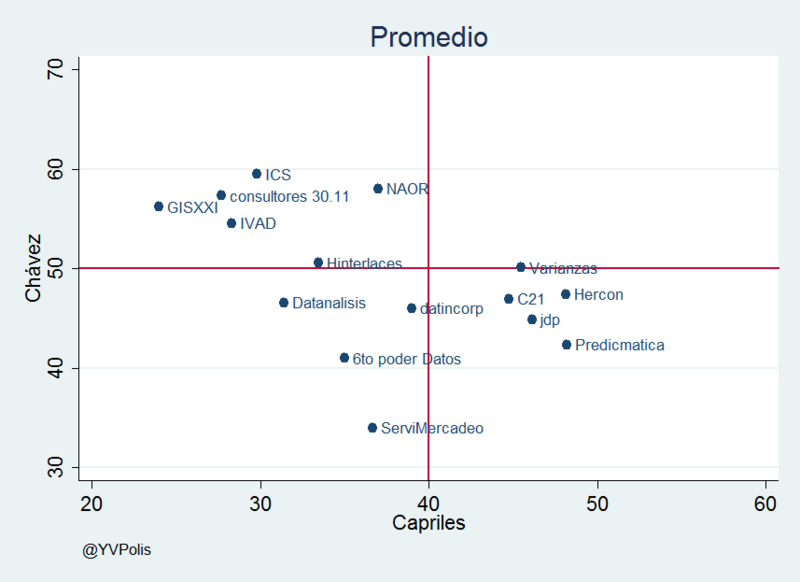 Home Politics ¡Hagamos dos, tres, muchos fake pollsters! ¡Hagamos dos, tres, muchos fake pollsters! A couple of observations about YV Polis’s latest poll chart. Man, there’s a crazy number of Fake Pollsters out there, on both sides. ICS? Fake. ServiMercadeo? Super fake. NAOR? Still fake. JDP? Never even heard of that one. Predicmática? Extra-fake, con doble tirabuzón. Next articleChavista oil workers threaten…a paro!